I am an indie author of fiction and non-fiction. I am based in London (UK), unless on a writing trip. I love reading both fiction and non-fiction. In terms of what I read, it is much more broad-based than the genre-bending literary fiction that I like to write. As an author, I leave the book rating to readers, so you will not see any stars on my shelf. An endearing story of the struggles of a Montana man struggling with severe obsessive compulsive disorder. This first person narrative from his perspective is told in a repetitive manner than brings across the nature of his daily existence well. A very interesting take on living with a mental illness. Rick Soper’s The Bainbridge Killings is a novella prequel to his debut The Rock Star novel, part of a four book series starring the FBI agent, Jon Stevens. The book surprisingly contains a 15 chapter sample of The Rock Star. That excessively long sample means that the denouement comes as a huge surprise as it happens at a time when the reader will think that there is nearly half of the novella still to go. It also occurs at the point at which the murder mystery storyline appears to be taking off. It would have been possible for the novella to take up the eBook’s 124 pages, as the conclusion packs in a lot of detail that could have been slowly drawn out to create a novel with a lot more mystery to it. The impression is given of a novella written to promote Soper’s debut novel and yet there was the material here to turn it into a more satisfying novel in its own right. Soper’s writing style is good and the narrative was well-paced until the somewhat rushed denouement. Those who know Bainbridge Island and Greater Seattle well may find the few location errors a mild distraction, but in general Soper gives a good depiction of this dormitory island community that is a short ferry ride from the city of Seattle. The novella contains a good mix of mystery, investigation, and action that should appeal to those will varying tastes within the genre. Overall, this novella feels displays the promise in Soper’s writing, but it disappoints because the priority was on writing a shorter piece in order to accommodate a very lengthy sample. The plot was inventive, although some points stretched credulity a bit too much (but then so did Arthur Conan Doyle and Agatha Christie). Nonetheless, it suggests that Soper had the basis of a much better novel than the novella that he has written. Jan Hurst-Nicholson's The Breadwinners is a family saga set among three baking dynasties in and around Durban, South Africa. The saga extends from the mid-Twenties through to the Sixties (or maybe the Seventies) and follows that timeline with few jumps forward. This results in a text that rushes through the ambitious timeline and leaves little time for development. As a consequence you learn a lot about who had a baby and who married whom, but there is disappointingly little detail about the evolving social context outside the narrow confines of the Durban baking industry. That social context involved the rise of the National Party and the creation of the apartheid system yet the only politics mentioned are about South Africa's limited role in World War Two. The novel is billed as a family saga and it reads like a business-centred soap opera for which there is a a considerable market. It would been improved if it had been written as a series of novels or if some of the timeline was omitted, because it is all a bit rushed. It will not appeal so much to readers of historical fiction as the historical context (aside from World War Two) is restricted to developments in the baking industry. This contrast between a family-focused saga and historical fiction is starkest when the cast of characters is considered: they are all white. There are black servants and bakery workers but they have few lines to utter in this drama that includes the period of the Sharpeville Massacre. This novel will appeal most to those who are comfortable reading a story about South Africa told from a purely white perspective and who relish details about pregnancies and family squabbles. If you are seeking political comment or enlightenment about the history of South Africa in the mid-Twentieth Century you should look elsewhere. Those readers who relish business-centred soap operas may find this to be their cup of (redbush) tea, but would probably prefer the baked goods to come with a more substantial filling than the over-ambitious timeline allows for. Pavel Kravchenko’s debut novel Project Antichrist is subtitled A science fiction thriller and it falls into the sub-genre of a slow-burning depiction of the near future where you are never quite sure what the world has come to. It is set in Chicago during the mid 21st century and is centred around a television celebrity, Luke Whales, who is a fugitive from justice. 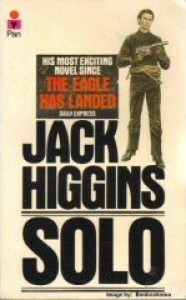 One twist that the blurb had made clear was that aliens (of the extraterrestrial variety) were among those in pursuit. Gradually the book unfolds twist after twist about what is actually going on in the United States a few decades into the future. That slow-burning first part of the book is the best part of the novel, but then I am not the target audience as action scenes generally leave me cold. The twists and turns are maintained to the end, but I found the closing chapters unsatisfying. The action part of the denouement stretched the limits of my credulity and the closing revelations about what was really going on in the novel did not seem a good fit for the preceding chapters. I read the novel because the blurb offered something different and it certainly delivered on that front. For my liking it was a little too different to the point of unbelievable, but readers with more of a liking for action scenes may respond differently. 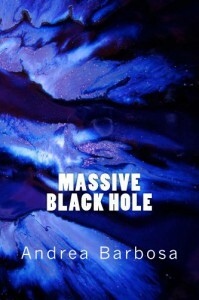 Andrea Barbosa's novel Massive Black Hole is an engaging work of literary fiction based around the intertwining lives of three female friends in New York: Agatha from Houston, Cibele from Rio, and Amy from New York. The massive black hole of the title is a reference to the Pseudo-Bosch painting Christ's Descent into Hell which is a major motif in the story. Art and prose are not the only cultural forms present in the novel as there are also a few of Barbosa's poems in the text. Barbosa is a long-term resident of the United States, although born in Brazil. She cites fellow Brazilian author Paolo Coelho as a major influence and it is evident in this novel with its narrative that wanders from the sacred to the mundane to the highly figurative. Massive Black Hole is clearly within the realms of literary fiction, but those who like a lyrical style will be disappointed. Despite Barbosa's poetic abilities (her latest book is a poetry collection Holes in Space) this novel is written in a quite prosaic manner. In addition there are a large number of typographical errors that might put off literary fiction readers, who tend to have a lower tolerance for such problems. Another area in which this novel may disappoint the literary set is that Barbosa tends to explain why a character is acting in a certain way rather than allowing the reader to glean that from the narrative. There are also a couple of formatting problems on the Kindle version with Chapter 26 not beginning on a new page like the rest and oddly for a book with titled chapters there is no Table of Contents (there is in the print edition). 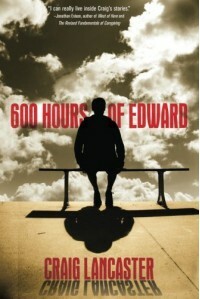 There are problems with Barbosa's style but persevering with the novel is well worth the effort. The dénouement is very interesting and should leave most readers with a positive response to the novel. Certainly for me the ending justifes the means. 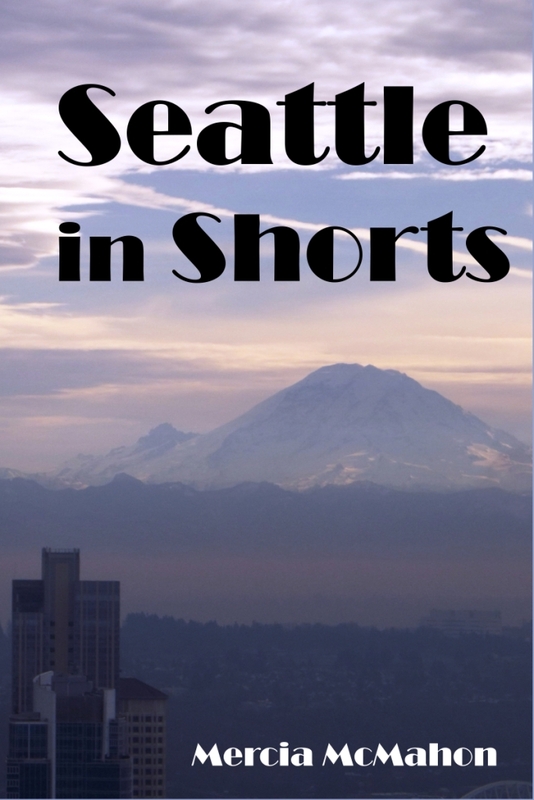 KiSeattle in Shorts (MMMporium 2014) was published as an eBook on 30th April 2014. It is available on Amazon, Google Play, and Smashwords and coming to Apple, Barnes and Noble, Kobo, Nook, Oyster, Scribd, and Versent. I was a compulsive reader as a child, sometimes reading several novels in one day. The one that influenced me most was Mary Wollstonecraft Shelley's Frankenstein, or: The Modern Prometheus, which I read at 14 . It was my first encounter with a deeply introspective novel, so you can imagine my sympathies lay with the creature, not the creator. I was bowled over by the early scenes of Frankenstein's creature observing the woodland family, as this contrasted so much with the Boris Karloff movies then being reshown on British television. 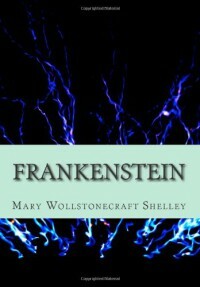 I have since lost my enthusiasm for any form of horror, but Frankenstein remains a firm favourite as a piece of introspective literary fiction. What captivated me was the psychological introspection of the assassin, which inspired a new direction for a science fiction novel about an assassin that I had been planning since the age of 10 ( I was then about 15). My efforts to write the novel foundered on my limited motivation for writing action, and my weakness at writing believable action dialogue. I might return to the project some day, but if I do it will probably have to have all of the action removed. You can read more about my influences on my Pinterest board.